In a report, ‘Tourism in Africa: Harnessing Tourism for Growth and Improved Livelihoods,’ released yesterday, the Bank mainly looked the Sabyinyo Silverback Lodge in the Volcanoes National Park, a high-end facility whose proceeds are shared between the investor and communities around the park. From Silverback project, the community benefits from both the number of nights and a percentage of after-tax profits which gives it immediate benefits and an incentive to grow the business,” reads part of the report. The land and physical assets are owned by the community but the lodge is managed by a well-known tourism operator to meet the needs of the high-end market, says the World Bank report. “Rwanda’s approach, a model project, is a public-private partnership that secures community land ownership, protects critical biodiversity, and enhances the welfare of local communities,” it adds. In addition, funds accruing to the community are managed by a community trust and divided between community projects and household dividends. The Head of Tourism and Conservation at Rwanda Development Board’s, Rica Rwigamba, said the Sabyinyo concept is not yet spread out countrywide, but there are plans to roll it out in the near future. “A concession policy is now in place and the model can be spread out. We are ready for this and do actually encourage it, but ultimately, it is has to be a private investment,” Rwigamba said. Manzi Kayihura, the chief executive of a Thousand Hills Expedition, a tour operator, said basic infrastructure has been put in place to mitigate threats to precious land and animals, and to help communities living near wildlife sanctuaries promote conservation and protect their economic interests at the same time. “Almost everything is actually in place. All we need to do is strengthen and spread out this [Sabyinyo] model, but we are already on the right path,” said Kayihura, who also doubles as the chairperson of Rwanda Tour and Travel Association. It has been almost 20 years since the infamous genocide in the small East African nation of Rwanda, where nearly one million Rwandans lost their lives in the ethnic conflict between the Hutus and the Tutsis. Nyungwe National Park, where visitors now hike hillsides to glimpse of troops of chimps, was a refuge for Tutsis who hid in the vast shadows of forests in fear for their lives, waiting for 100-day slaughter to end. Since the genocide’s end, this nation has established a solid democracy and worked tirelessly to reunify the nation, and it has become one of Africa’s safest and cleanest destinations as well as one of its most stunning and biologically diverse. 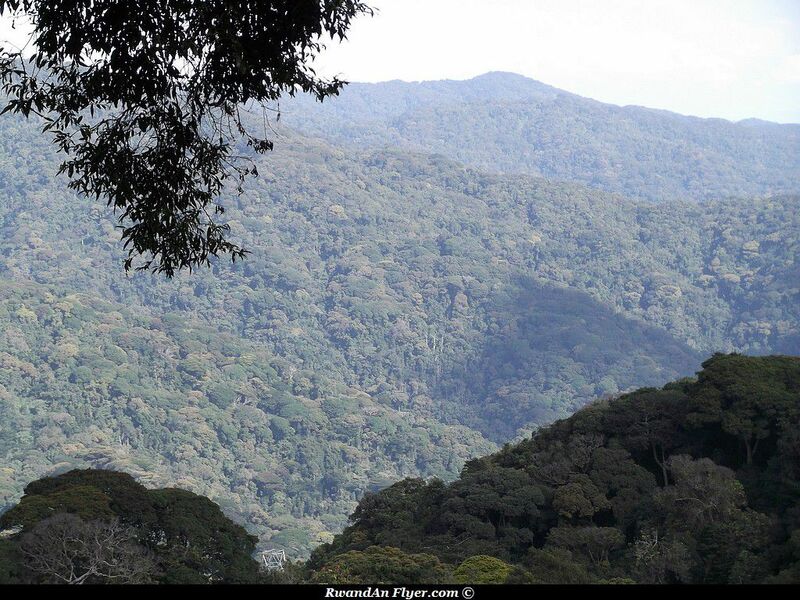 Shortly after the genocide, however, the extremely divided nation was faced with abject poverty and as a result, Nyungwe – one of Africa’s last remaining mountain rainforests — nearly faced its demise. Impoverished local villagers and a rapidly growing population surrounding the park depended on the wood for cooking and keeping warm. Many of the animals in the park were hunted for food. Surrounding farms encroached on the park. Since 2010, Strengthening Sustainable Ecotourism has been working in and around Nyungwe National Park (SSENNP) with a program known in Kinyarwanda as “Nyungwe Nziza” or Beautiful Nyungwe.” It has been working with the park to promote and sustain Rwanda’s ecotourism and conservation while promoting cultural awareness and stimulating the local economy through tourism. Thus far, the project has worked closely with local communities and schools to raise environmental awareness and help generate local jobs by bringing tourists from all over the world to visit Nyungwe National Park’s spectacular rain forest canopy.